Design your own Nametag - 1.5" x 3"
Northwest Engravers showroom features a complete assortment of the finest custom made awards and specialty recognition items. We offer many different plaques, crystal, acrylic, and brass pieces for your award needs. We have been in business for over 30 years, located on the west side of Fort Worth. 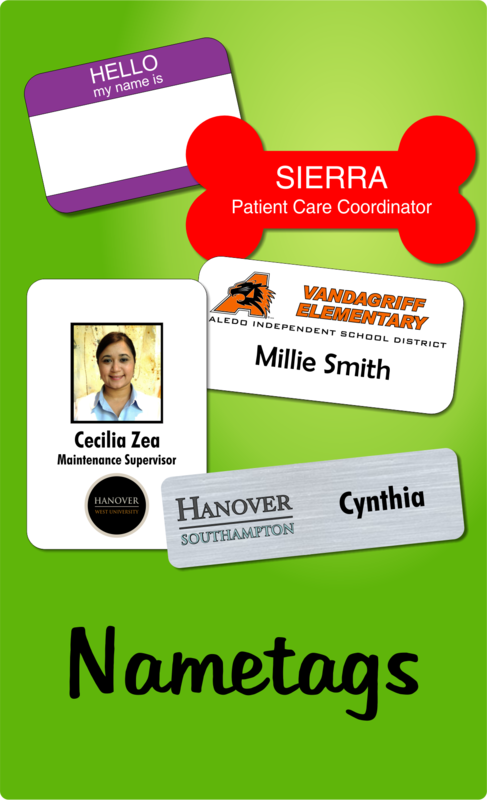 We specialize in nametags, plaques and signage, and we can create custom awards specific to your needs. We also manufacture custom braille signs that meet all federal and local standards.